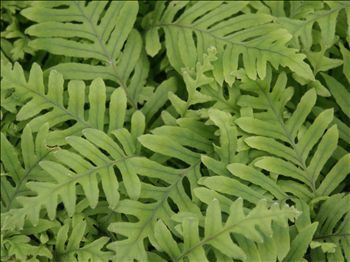 A very pretty fern with soft, green fronds. The creeping rhizome is quite striking, being a pale blueish white color, resembling caterpillars or grubs. Ideal basket plant where the rhizomes can be shown off to the best advantage. Available plants are small, growing in 2" deep pots.